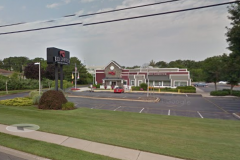 Toms River police are investigating an armed robbery that occurred last week in the parking lot of the Red Lobster restaurant on Hooper Avenue. 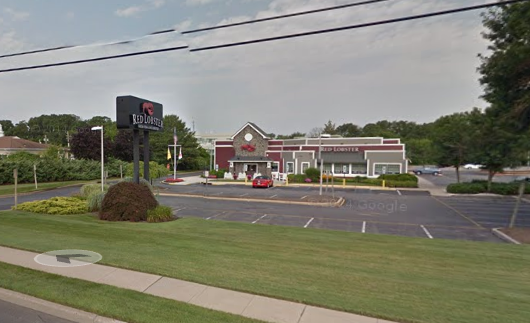 According to police spokesman Ralph Stocco, a man and woman were in the restaurant’s parking lot at about 11:59 p.m. Sept 26 when they were approached by two men brandishing a handgun. The victims, he said, were about to enter a vehicle when one of the suspects approached from behind and put a gun to the back of the man’s head and demanded money. During the confrontation, the men entered the victim’s vehicle to locate cash, then fled on foot after taking money from the vehicle. The suspects are described as being two black men, clean shaven and approximately six feet tall. They fled in an older model, four door grey sedan that had a third black male as its driver. Anyone with information is being asked to contact Detective Randy Petrick at 732-349-0150, extension 1235.